Home Book Launch Happy Release Day – Nanny X Returns! We love celebrating with authors when their books are released! Today’s shout out goes to Madelyn Rosenberg and her delightful new book, NANNY X RETURNS. If IAN FLEMING WROTE MARY POPPINS?? Wow. It doesn’t get much better than that! This action-packed and hilarious novel introduces a Mary Poppins for the twenty-first century. What kind of nanny wears a motorcycle jacket, mirrored sunglasses, and a straw hat with flowers on top? When ten-year-old Ali and eight-year-old Jake find out that this odd woman named Nanny X is going to care for them, they’re understandably concerned. Imagine how they feel when she starts speaking into diapers? But wait; could it be that the diapers actually seem to be answering her back? Everything begins to make sense when the kids find out that Nanny X works for NAP, or Nanny Action Patrol, a group of crime busters who use being nannies as their covers. Nanny X and her diaper bag full of ingenious spy devices come in pretty handy when Ali’s friend is falsely arrested. In no time at all, Ali, her brother, and her baby sister are on a wild ride as they help their new nanny uncover a plot to smuggle stolen diamonds using hollow coconuts and trained chimps. It shouldn’t be a surprise that the book is hilarious. The author is as well. Madelyn Rosenberg has written several books including NANNY X, THE CANARY IN A COAL MINE, HOW TO BEHAVE AT A TEA PARTY and the newly releases HOW TO BEHAVE AT A DOG SHOW. It was meant to be. “If you ask any of my older relatives, the ones who call me “Maddie,” they’ll tell you they always knew I’d become a children’s writer. “Remember when you wrote that story about the raccoon and the mask?” they say. (They cannot remember my earlier work, “Mommy’s Flying Birthday Cake,” but no matter.) Of course I reme mbered the raccoon story. 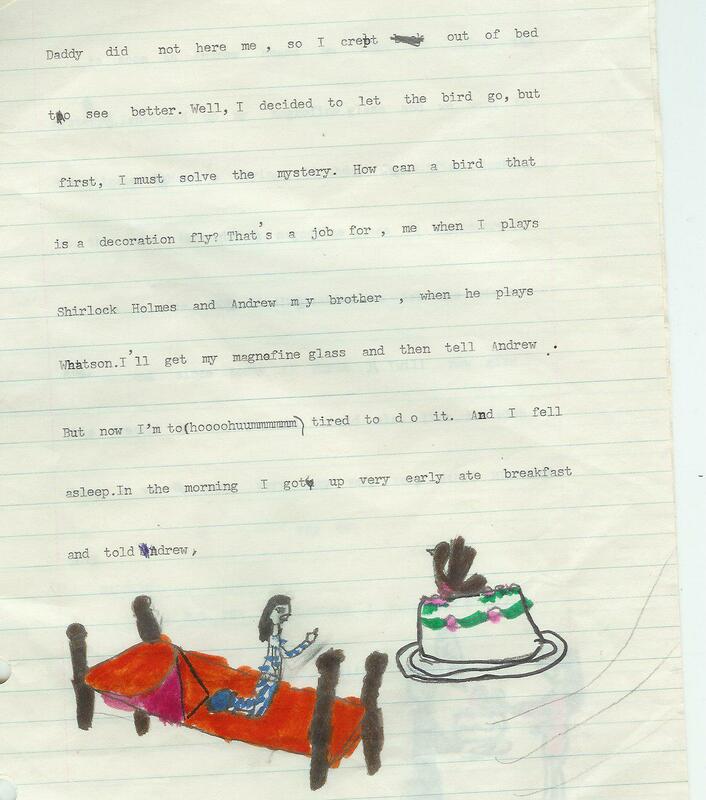 I wrote it for Mrs. Sinha’s fifth grade class and frankly, there have been a number of times when I’ve worried that it was the height of my children’s writing career. The story (raccoon bobs for apples at a Halloween party, mask shrinks, hijinks ensue) had an arc and a climax, though if I were writing it today I would probably torque up the tension. Click HERE to buy NANNY X RETURNS. Learn more about Madelyn at her website. And don’t forget to share this article and join in the NANNY X RETURNS celebration!